Avid gamers allot a huge chunk of their time to their hobby. They want hardware that can offer vibrant graphics, long-lasting battery life, and extremely fast speed. 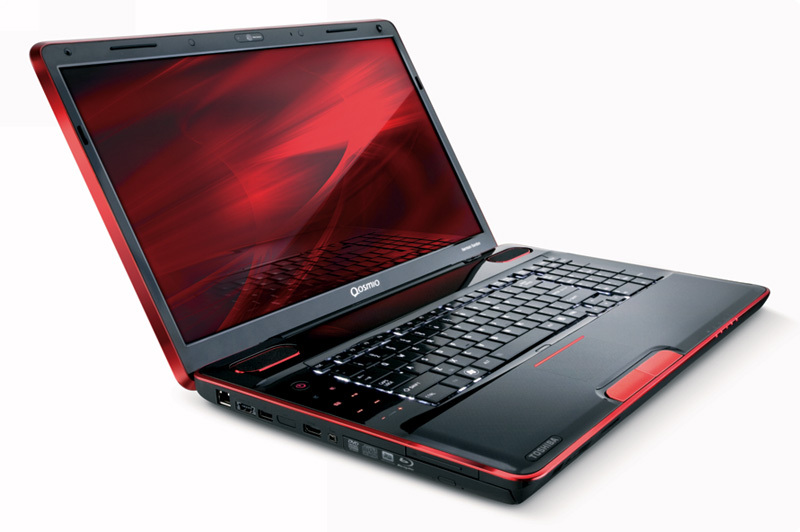 Individuals vary on which laptops they consider as the best for gaming. Considerations like budget and features influence most buying decisions. There are gaming laptops with screen size over 17-inches, 15-inch gaming notebooks, and 14-inch ultraportable devices in the market. The top-of-the-line gaming laptops serve not only as awesome gaming machines but also a hub for multimedia entertainment. Zooming to the top five laptop picks of gaming fanatics that pack the latest hardware are Alienware, MSI, Razer Blade, Toshiba Qosmio and several ASUS models. There are, of course, several other great laptop options for the serious gamer, including brands that are equipped with standard features and work double duty for both work and games. A case in point is the Lenovo IdeaPad Y510p. Though this Lenovo model’s features aren’t upgradeable, it offers features multimedia capability and support that’ll suit some gamers. Design-wise, Alienware 17 is pretty cool. Not only is it 3D-capable, it’s also equipped with complete features to ensure an enjoyable gaming experience – multiple USB ports and DVD drive, mic, memory card reader, webcam, Wi-Fi & Bluetooth, and ability to switch to Blu-ray player when customizing. For gamers with funds to spare, the Alienware 18, on the other hand, offers amazing lighting effects, stunningly beautiful display on its 18.4-inch screen, and extraordinary performance. Another noteworthy option that’s top of mind for the avid gamer is MSI. Graphics and animation are flawless on the MSI GT70 Dragon Edition 2, Powered by the Intel Core i7-3630QM or i7-4700MQ processor, the laptop runs fast and battery life can go up to five hours. The MSI GT70 has a 17-inch screen, hard drive options, and customizable keyboard. Grabbing attention for its huge 17.3-inch screen and Full HD 1920×1080 resolution display, massive memory and fast performance is the Toshiba Qosmio laptop. Four speakers add to providing gamers a full sensory experience. On the other hand, emerging as another preferred gaming laptop that’s easier on the pocket than the coveted Alienware 18 is Razer Blade 2013. It can be purchased at a steal from leading e-commerce sites, The ultraportable Razer Blade is equipped with an Intel Core i7-4702HQ processor with 2.2GHz. Gamers get eight gigabytes of RAM and use Windows 8. The gaming machine weighs in at a mere 4.1 lbs. Screen size is only 14 inches. Though there are more powerful gaming laptops in the market, it offers value for money. For the large number of budget-conscious gamers out there, quality brands like Lenovo IdeaPad, HP Envy, Samsung Series 3 Gamer, Acer Aspire, and Toshiba Satellite offer specifications that satisfy without breaking the bank. These are among the relatively cheap but great gaming laptops you can get. For gamers who want a high-performance laptop with a sleek design, Asus is a standout option. There’s the ASUS G73JW, a gaming machine with a 17.3-inch screen, has Blu-ray player for a great multimedia experience, and loads of memory. These are among the top picks on gaming laptops that may satisfy many serious gamers’ requirements. And if you want to research even deeper check out Top 10 Gaming Laptops!